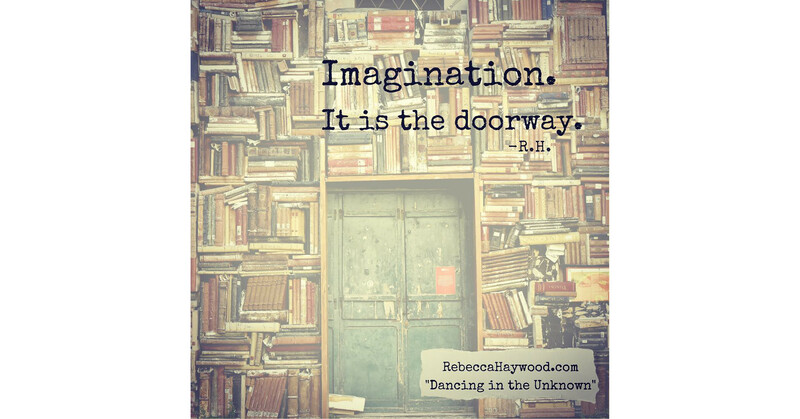 Imagination is the doorway... to everything! Really? Really. Beyond great stories and revolutionizing innovations, imagination is a means of manifesting the anything we desire, including healing. Of course, we must put action behind our dreams in order for them to bear fruit, but what kind of action exactly? I recall a story of a boy who had been diagnosed with a brain tumor and with only months to live. He decided to take a very unique action for himself— he used his imagination to heal his tumor. Every night, as he fell asleep, he would play his favorite video game in his mind. In this game, his tumor became the asteroid that his space ship was attempting to destroy, shooting pieces of it off into the cosmos. This went on for one month until his next appointment in which his doctors discovered that the brain tumor was completely gone! The boy would live after all, and the doctors would remain perplexed. I have personally witnessed so many similar ‘miracles’ prompted by ‘mere’ imaginings. This is the power our imagination holds— it is an intent and an action unto itself, especially when it comes to our body. Why? Because our brain is the captain of our ship, telling cells where to go and what to do. When we imagine, we are having a direct conversation with our brain which then impacts its communication with our body. If we imagine that we can minimize a brain tumor AND we believe it (or at least suspend our disbelief) then the brain reacts accordingly— tumor, gone. There is a flip side to this healing power of our imagination—that of the healer—but as I watch my character count grow near its limits, that will have to be for another day. For now, know that your imagination is one of the greatest powers you have to affect change in your life in any direction. Take it from the boy who lives tell you the story.